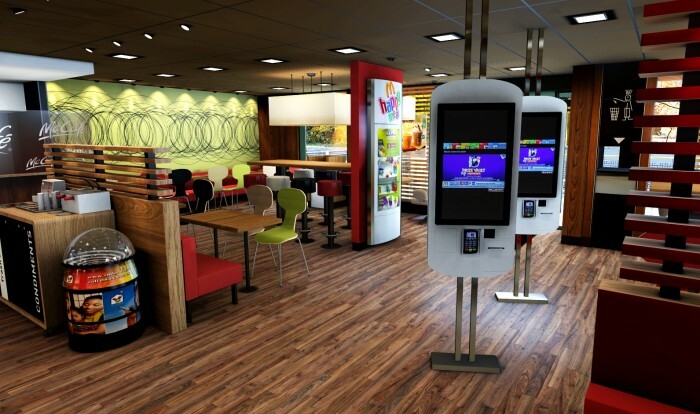 René Batsford, Digital Innovation Manager, McDonald’s Restaurants Ltd.
McDonald’s came to us to create a virtual reality version of their restaurant for store customisation and rebranding running on pre-release GearVR hardware. Neutron created a photorealistic VR experience with unique material and branding customisation running on pre-release GearVR hardware. We delivered a high quality solution in a very short time frame, in time for the Samsung retail pop-up event. The early GearVR prototype has since evolved into a much more comprehensive VR restaurant configuration tool built for HTC Vive and Oculus Rift using the Neutron Visualisation Engine, allowing franchisees to configure and preview their choices and understanding the benefits much more effectively before committing to them. René Batsford, Digital Innovation Manager McDonald's Restaurants Ltd.